Thank you for your interest in leadership of Missouri Health Care for All. Please click Submit to send this application. A member of our Board or Staff will be in touch soon about the status of your application. Our Board of Directors is looking for new members to help advance our vision of quality, affordable health care for all Missourians. To help us elect the best possible slate for the organization, interested potential board members are asked to complete this application. We will review all of the received applications and nominate a slate that brings the greatest strength possible to the board. If you are not nominated for a board position at this time, we will contact you about other ways you can help Missouri Health Care for All. Before applying, please be sure you have read about the responsibilities of MHCFA Board members at https://mohealthcareforall.org/seeking-board-members/. APPLICATION DEADLINE FOR THE 2019 ELECTION HAS BEEN EXTENDED TO FRIDAY, APRIL 26th AT 5:00 PM CENTRAL TIME. I am interested in joining the Missouri Health Care for All Board of Directors representing my congregation, organization or faith tradition. I am interested in joining the Board as a community volunteer. * 3. 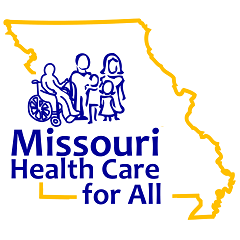 Please describe your interest in being part of Missouri Health Care for All's leadership. Why, of all the places where you could volunteer your time, do you want to serve on this Board? * 4. Have you previously been involved with Missouri Health Care for All? If so, how? * 6. Alternatively, please upload a narrative biography (not a resume or CV, please). Alternatively, please upload a narrative biography (not a resume or CV, please). * 7. Please tell us about other organizations where you have volunteered or served as a board member (current or past). * 9. What particular skills, interests, or experience can you contribute to Missouri Health Care for All? * 10. With which of the following aspects of our work would you be most interested in assisting? Are you directly or indirectly affiliated with a health provider or health insurance company? Please disclose if you work, lobby or serve as a board member of a health care company, insurance company, hospital, or other medical provider. * 12. If you are not selected for board leadership, are you interested in working with Missouri Health Care for All in other ways? * 13. I submit this application for the Board of Directors of Missouri Health Care for All. I attest I have reviewed the responsibilities of MHCFA Board members and am willing to fulfill these responsibilities, including making a time commitment of approximately 5-10 hours per month. I have answered the questions above completely and truthfully.